Material: Made from PVC, oil and erosion control, heat resisting up to 85℃. 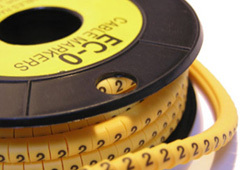 Struction: the inside is hollow, but elastic, The diameter can change with the needed wire. 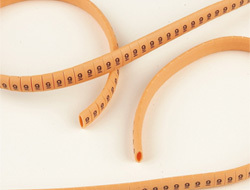 Feature: used for circle of flat wire size from 3.5mm-7.0mm. 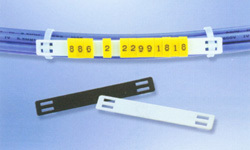 Usage: Nylon plate with cable tie fastening hole to accommodate marker pieces for easy identification of cable runs.